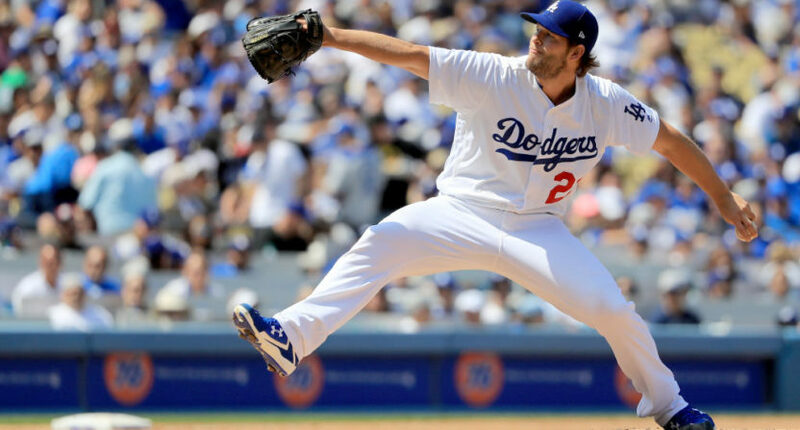 Clayton Kershaw has a whole lot of help this year. Welcome to The Comeback’s Major League Baseball playoff preview series, in which we tell you why each of the teams headed for the postseason has a chance to win it all. First up, the team with the best record in baseball: the Los Angeles Dodgers. It seems fairly straightforward to explain why the Dodgers can win the World Series. They’ve had the best record in baseball almost all year. If the team hadn’t scuffled at the start of September, it would be on pace for a historic season. But questions remain. And they’re fair. The Dodgers did drop 11 in a row earlier this month and they’ve fallen short of the World Series despite winning the National League West each of the past four seasons. Fortunately, Andrew Friedman and Co. have plugged a lot of the holes that plagued the team in postseasons past. While playoff success is no guarantee, Dodgers fans should be hopeful that this is the year their team finally make it to the Fall Classic and wins. Firstly, the Dodgers shouldn’t have to lean on Clayton Kershaw so much. We all know the narrative by now. Regardless of where you stand in regards to Kershaw and pitching in October, the playoff numbers clearly don’t line up with what the three-time NL Cy Young Award winner is capable of. Two factors have really contributed to those struggles. It seems as if Kershaw is always left in a little too long and/or has to make starts on short rest. A big part of that is roster construction. The Dodgers have lacked rotation depth and reliable bullpen pieces to get the ball to closer Kenley Jansen. Those issues have been addressed because the Dodgers now have four starters they can rely on in the postseason. L.A. made a splash at the deadline with the acquisition of Yu Darvish, and he slides in behind Kershaw as the team’s second-best starter. Rich Hill and a resurgent Alex Wood give Los Angeles a rotation that need not feature Kershaw on short rest. The bullpen may not have the big names, but Los Angeles has found some very capable arms to bridge the gap between starters and Jansen. Former first-round picks Josh Fields and Brandon Morrow have both posted sub-1.000 WHIPs this season. Tonys Watson and Cingrani were both picked up at the deadline to give the Dodgers left-handers to go with Luis Avilan for matchup purposes. Walker Buehler could be the wild card in relief. The 2015 first-rounder out of Vanderbilt struck out more than a dozen per nine innings in the minors this year before earning a promotion in September. He’s a hard-thrower who may start in the long term, but don’t be surprised if he’s featured heavily out of the ‘pen in coming weeks. The lineup is deeper than years past, too. Not many fans knew who Cody Bellinger was a year ago. Now, he’s the runaway favorite to take home National League Rookie of the Year. Corey Seager has another full season under his belt. Yasiel Puig looks more like the electrifying rookie of 2013 than last season’s enigma. It’s fair to argue that the team is still thin when it comes to right-handed hitting. But Justin Turner has followed up the best season of his career last year with an even better 2017. Chris Taylor has emerged from a nondescript trade to become a regular. Logan Forsythe and Kiké Hernandez are solid platoon options. Adrian Gonzalez has dealt with myriad injury problems this year, which ultimately allowed Bellinger to break into the everyday lineup. Gonzalez probably won’t factor in much defensively in the postseason, but he’s a pretty good bat off the bench and potential DH should the Dodgers make it to the World Series. The team also has Curtis Granderson and Andre Ethier as potential options for the playoff roster. The Dodgers certainly can win the World Series. Few would be surprised if they did. The question is if talent and depth will finally translate in October. After four straight trips to the postseason without a pennant, fans in Los Angeles hope that this is the year the roster is correctly calibrated for playoff baseball. Brandon currently broadcasts for the Jackson Generals, Double-A affiliate of the Arizona Diamondbacks in Tennessee. He graduated from Northwestern University in 2014 and is from Los Angeles.